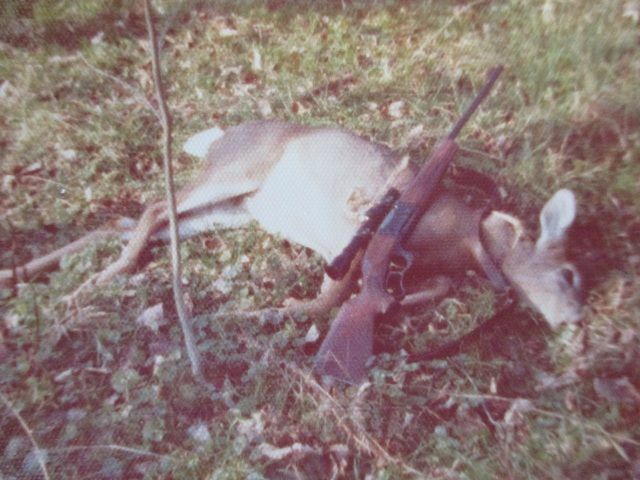 This mature doe was shot at a distance of approx 150 yards with my older Savage .308 rifle. One bullet through the chest organs did the job nicely for me. This is my first hunt with Remington's reduced recoil ammo and I'm impressed. Typically, I hunt with my 30-30 carbine but had a hankering to take out my "big rifle" for a hunt. This .308 ammo features a 125 grain semi-pointed bullet speeding along at about 2,600 fps. 300 Savage figures are similar. My bullet punched through the chest and left an impressive exit hole. Recoil is very light in my 8.5 lb rifle. Just a touch faster than the 300 BLK and it has been successful as well on white tails. Good, quick clean harvest. Now time for some backstrap. My youngest son's deer load when he was small was a 125 grain spire point and 37 grains of IMR 4895. Similar results to yours on a few deer. Hogdon had a youth loads section I got the data from. Nice load. Like that M99 Savage too! Yes. They work nicely with cast as well. Yep, plenty of steam for whitetails, just put it where needed. Like Richrodg66, I built my son's first hunting loads off known performance of my 30 Herrett pistol. 125gr at about 2250fps. Now I would use a 311165rd at about 1700. Based on real world experience. No need to tolerate unnecessary recoil for 100yd deer, recoil is enemy of accuracy. Especially with the young ones.